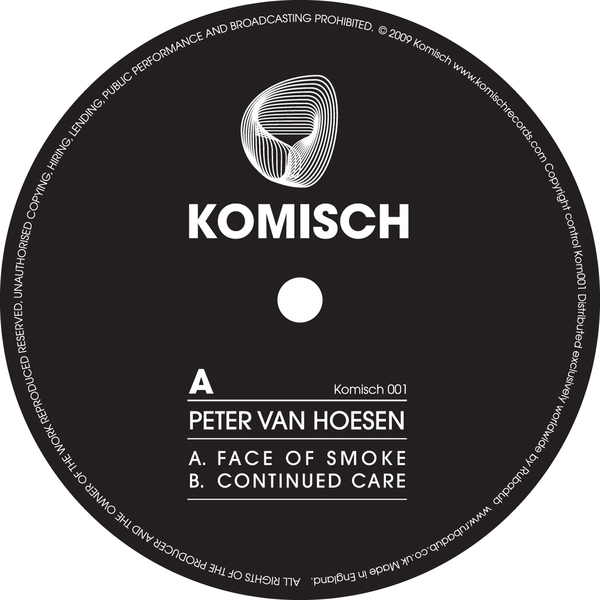 Making up for a slightly lacklustre release on Morse, PvH gets back to noirish form on the first release for Komisch records. These are two long playing and lean techno cuts, setting streamlined rhythms for the DJs and dancers against hints of sinister synths to create icy atmospheres for the 'floor. 'Continued Care' is our pick of the two, with spacious chords managing to fall just outside of the sound-alike dub chords of so many producers these days and guaranteed to add a sparkle of dakness to proceedings. If you're into into owt from Regis, Dettmann or Frozen Border right now you'd be daft to pass up on this.